CARPROOF Corp. is now known as CARFAX Canada. Photo courtesy of the company. The name change the company said was coming in an announcement back in March became official on Thursday. CARPROOF Corp. is now known as CARFAX Canada. Back in the spring, the company began the rebranding process to align with CARFAX, the U.S.-based provider of vehicle history information-based services, as both companies are owned by global business information provider IHS Markit. Officials explained the name change helps CARFAX Canada leverage the strength of the CARFAX brand, empowering more Canadians to buy and sell used vehicles with greater confidence. 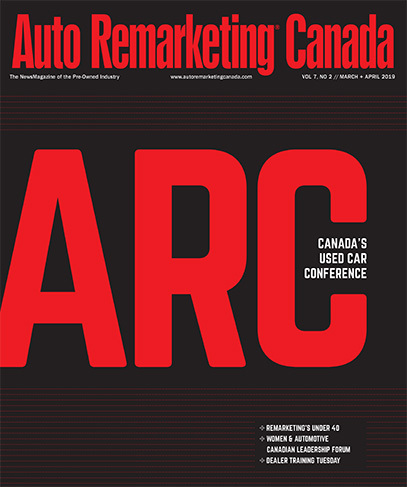 “CARFAX Canada will continue to provide the same robust history and valuation information that dealers and consumers have come to expect from us,” said Shawn Vording, vice president of automotive sales at CARFAX Canada. “We’re excited to leverage the CARFAX brand because it better positions us to provide enhanced products and services to Canadians in the future, building on our extensive history of helping people make informed decisions about used cars,” Vording continued. CARFAX Canada’s new website can be found at www.carfax.ca. Customers with questions can reach out to their CARFAX Canada representative or contact support@carfax.ca.